Walking Fort Bragg: Today's the day! California State Parks announced Tuesday that the Pudding Creek Trestle reconstruction project is finished and the bridge will be open this Friday, Nov. 16, just in time for the holiday season. At 4 p.m. on Friday, it will be possible to walk from Fort Bragg along the historic Georgia Pacific timber hauling road all the way to Ten Mile River. The bridge will be open to pedestrians and bicyclists who no longer will have to share Highway 1 with cars and trucks just to get to the coast and MacKerricher State Park north of town. In turn, residents and visitors north of Fort Bragg will now have a pleasant alternative to driving into town. Fort Bragg's history, shopping, services and restaurants will be just a pleasant walk or bicycle excursion away. The California Department of Parks and Recreation would like to invite the public to the opening. We hope to have on hand the many people and organizations that made it possible for the community to reconnect with a piece of local history. 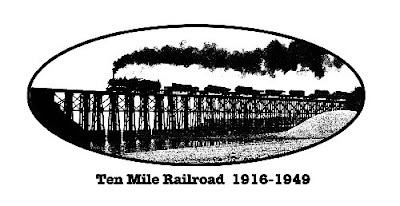 We'll meet at the Fort Bragg (south) end of the trestle and walk across the trestle. Please join us on the first walk across the trestle! Yea! Can't wait to cross it!